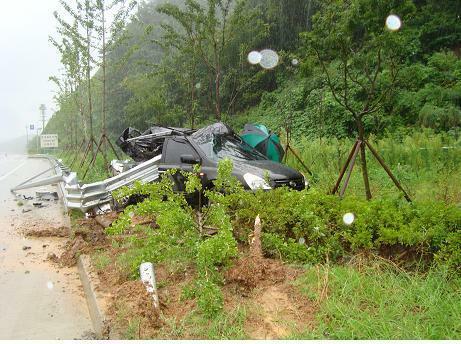 [UPDATE] Daesung in an accident but is OK! Big Bang member Daesung was reported to be in a car accident today (yesterday in Korea 8/11) on his way back from filming “Family Outing”. 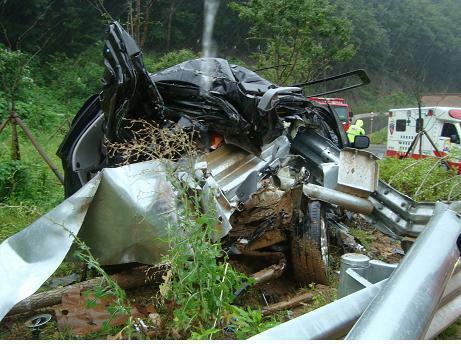 Apprently it has been raining really bad in the area of filming and the car skid off the road. Daesung, his manager and coordinator (stylist?) were all in the car. Daesung and his manger have minor injuries, but the coordinator has suffered internal bleeding and underwent surgery that same night. She (coordinator) will be sent to Seoul afterwards. Daesung suffered a broken nose, a spinal injury and some scratches to his face. His manager also received minor injuries on his hands and legs and both of them will recieve treatment back in Seoul. Daesung will be on recovery for the next 4-6 weeks and will miss out on the musical, “Shouting” from 8/12-8/23. Well my question: Why did the coordinator have the severest injuries? I wish them all a speedy recovery, especially his coordinator, since she suffered the most injuries. I think this is a blessing in deguise too. They have been working non-stop since their debut in Japan and to top it off they are joining the music festival, G-Dragon and TaeYang have their solo album’s coming up. They need the rest, especially Daesung, since he also does filming for Family Outing.